This delicious recipe has a cancer fighting power that no chemotherapy has — it destroys tumor stem cells. Tumor stem cells are believed to be a primary cause of tumor recurrence. These stem cells stay inactive during conventional cancer treatment and are not destroyed by chemotherapy or radiation. Then, the tumor stem cells reactivate, producing cancer recurrence or metastases. The good news is that several healing foods destroy tumor stem cells. The cruciferous vegetable family has the super power of activating the “self destruct” mechanism in tumor stem cells. These veggies include cauliflower, broccoli, Brussels sprouts, broccoli sprouts, and wasabi. Cruciferous veggies also gently support detoxification, helping to rebuild health after chemotherapy. Naturopathic physician Dr. Dara Thompson of Larkspur, California shares a helpful article about cruciferous vegetables and a delicious recipe. Cruciferous vegetables (broccoli, cabbage, kale, cauliflower and brussel sprouts) are packed with nutrients that prevent cancer and promote cleansing. 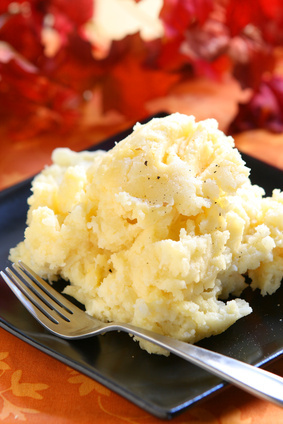 Adding pureed cauliflower to mashed potatoes, soups and sauces boosts nutrition without compromising taste. Pureed cauliflower has a satisfying creamy texture.